I don't see this classic on the local TV schedules so enjoy a bit of tradition, with Miss Sophie, Sir Toby, Admiral von Schneider, Mr Pommeroy, Mr Winterbottom and , of course,James. Although the exact history of the play doesn't seem too clear what is certain is that the rights eventually belonged to Freddy Frinton and will always be most associated with him. It was first performed on German television and is still a massive hit there every year. Freddy Frinton was "the superlative stage drunk", fascinating as he was a confirmed teetotaler ... and played James! I colour version was scheduled to be shot in 1968 but Frinton had a heart attack just three weeks before filming was to begin. To aid you as you spend hours deliberating as to what your News Years resolutions will be this time around I have come up with some you are free to use and quote as your own. I will set an example for those around me - Parents talk about how the upcoming generation are couch potatoes, who have no direction and sense of responsibility. The drinking age gets increasingly lower. Sexually transmitted diseases passed the epidemic stage a long, long time ago. Drivers lament at the bad & dangerous driving habits of taxis. At the same time children watch their parents drink themselves into a stupor at junior school cocktail parties. Parents work long hours to ensure that they can 'keep up with the Joneses' supplying the children with all the latest gizmos to relinquish the responsibility of entertaining them. People and organisations are so aware of others sensitivities that the truths behind the spread of HIV get clouded behind all sorts of spin. Drivers refuse to obey laws they don't feel applies to them (talking on cellphones, speed limits, overtaking on a solid line). Perhaps it's time to walk the talk. I will force myself to think for myself - It's amazing how, now that we have so much information at your fingertips, people still do not question. We are fed lies and half truths via established media houses who are in turn fed this 'information' by corporate PR houses and government spin doctors. Let's try and expand our minds sufficiently, so that we are able to make educated judgments on what we see, read and hear ... without having to be cynical. I will smile more - Let's look for the positive in all we encounter. Not too sure what to say ... while doing more regular browse through Zoopy.com I was faced with the scenes below! Seems like the jocks are taking over cyberspace! With just a few days to Christmas, I thought I would assist all the Eish!! readers who wish to send Eishman a little Christmas gift. With the oil price destined to stay at the current level for ... well ... er ... ever an electric car seems to me to be the way of the future. So why not get one that can get to 60mph in less than 4 secs and look,s good doing it? 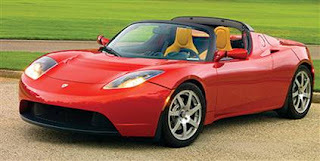 Top of the list must the Telsa Roadster. I am extremely happy with my current cellphone, so I have decided to add the Nokia N810 internet tablet onto the list instead of a new phone. 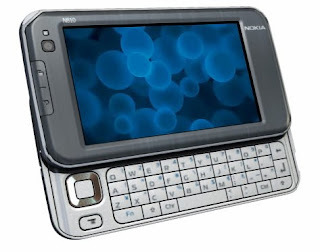 Internet browsing, WiFi connectivity, GPS functionality, widescreen format, mp3 playback, podcast aggregation with a qwerty keyboard. I actually like the fact that there is no phone functionality. This allows your phone to be a phone and this becomes your browser and organiser, but ... it is fully Skype compatible! While I am an audiophile, the technical stuff goes way over my head. What I have managed to do is put together my dream home theater system. Again let me stress this has been put together based on nothing other than my limited understanding of the technical stuff and, of course, looks so if you feel there are better component combinations feel free to make changes. 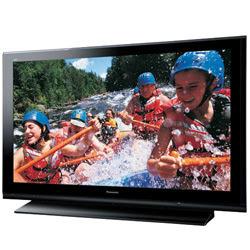 Plasma : Panansonic TH-65PZ750U : At 65 inches and 1080p, and good looks, this should fit nicely into my lounge home. Amplifier : Halcro DM58 : Rated by more than one reviewer as the best amplifier ever, who am I to argue. 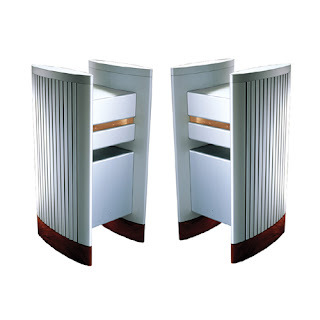 Speakers : Martin Logan Purity : When it comes to speakers looks are really important. I found this to be extremely well spec.ed and beatiful to look at. Of course with all the above one needs a beautiful and functional remote. Philips' Pronto TSU9600 fits the bill perfectly. It will replace my current table full of remotes, is fully customizable and, of course, looks good. Now here's something I received an 'exclusive' invite to purchase and actually attempted to order, but due to them not been able to ship outside the US I lost out. A Chumby is a marketed as a Personal Internet Player. It's simply a widget driven wireless receiver. 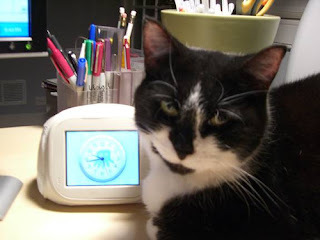 It has an alarm clock, plays mp3's, internet radio, accepts rss feeds and it's little screen displays anything from the weather to photos, pretty much anything that you can find a widget for. 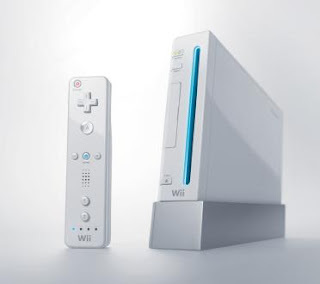 Of course what Christmas wishlist in 2007 would be complete without the Nintendo Wii? I am not a gamer by any stretch of the imagination, but the physical nature of the game play appeals to me ... and wouldn't it look good on the 65 inch plasma? I hope there's enough there for you to mull over, my postal address is : 1 Whishfullthynking Avenue, Itlnevrhapn, 7975. Toshiba, Japan have developed a Micro Nuclear Reactor capable of powering an apartment building or a city block for 40 years, without needing refueling. With a footprint of just 11 square meters, it is engineered to be fail-safe, totally automatic and will not overheat. It is claimed to produce electricity for 35c per kilowatt hour. 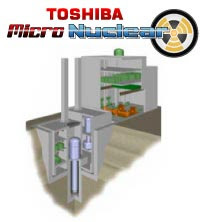 Toshiba aims to install it's first reactor in Japan in 2008 and beginning worldwide marketing in 2009. Anyone want to go halvies?? There was been a fair amount of comment here at Eish!! over the future of SAReunited.com ever since my first post 'Is there a future for SAReunited.com' even drawing comment from the one of the co-founders. 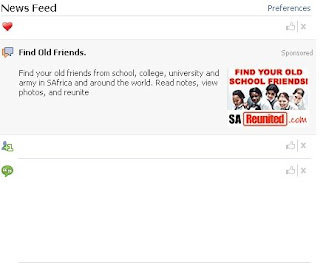 The original article centred around the fact the emergence of Facebook would ultimately make SARenuited defunct. So I couldn't help but chuckle when I saw the following in my Facebook feed. Nothing like using your competition to get traction! It seems as if they are not going down without a fight, good on them. Never has there been a better showcase for SA music. Free music downloads are a great way to introduce potential fans to new bands. Barney Simon and the guys from powerzone.co.za have not only figured this out, but they have clearly managed to convince some serious players in the SA music industry of this reality. You can go to www.powerzone.co.za and download singles from the likes of The Parlotones, The Finkelsteins, Evolver, Fevertree & Jo Day, to name just a few. Quality local music ... for free. Click here to go directly to the downloads page. You have just three days to experience a truly remarkable trip through the recent South African history of song and music. Last Saturday, I was privileged to watch Diamonds & Dust, a musical presented at the Barnyard Theatre in Willowbridge, Cape Town. What a joyful emotional rollercoaster ride. We were treated to renditions of Bright Blue's 'Weeping', The Lion Sleeps Tonight, Paradise Road and couple of Johnny Clegg classics, not to mention some Miriam Makeba thrown in for good measure. The song choice was spectacular, the production a peach and the talent on stage astounding. Do yourself a favour grab the last couple of tickets available, pack a picnic basket and go and experience the great music South Africa has produced. (As far as I know this is still the only stage show endorsed by Proudly South Africa) The show's run ends on Saturday the 15th December. Those of you in the UK and The Netherlands, keep an eye on your local event guides, this production is going to be touring your shores early next year. As a music appreciator, I find December a tough month. If having to join the hordes at the malls isn't torturous enough, having to put up with cheesy 'Christmas' music and, of course, the inevitable Boney M onslaught rapidly diminishes my Yuletide spirit. You can listen to the shows at the site, but there are also various methods you can use to subscribe and get all the future shows downloaded onto your pc, you can even get it mailed to you. If you really enjoy this type of thing go and visit LifeSpring's podcast Advent calendar. Another daily podcast where the hosts talk around Christmas traditions around the world and their origins and meanings. Click here, but be warned you be never return. I think it's fair to say that 'Hey there Delilah' by the Plain White T's has become a pretty massive hit here in SA. Probably to the point of the being overplayed. I was pleasantly surprised to find that eMusic offers the entire EP for download. eMusic is a subscription based music download site, for $9.99 a month you can download 30 mp3's from a whole host of artists. The site depends on buy in from record companies and it's fairly obviously that you are not going to get a Beyonce or Celine Dion single for download, but there are some pretty big names and alot of awesome music. They are after all the world's largest distributor of independent music,with more than 2 million tracks and 13 000 record labels on their books. Those artists that have caught my eye include Frankie goes to Hollywood, Pink Floyd, Aimee Man, James Taylor, Creedance Clearwater Revival, Twisted Sister and a whole load of new artists I have no knowledge of and affinity for. 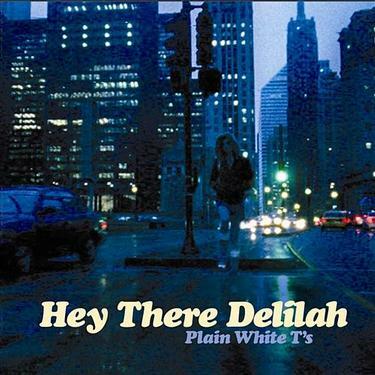 But I did add in the title of the post that you could get the Plain White T's download for free and legally. Here's how : simply sign up and you will be given a free trial period. You can then utilise this trial period and download the track(s) of your choice. Then you can cancel your account, however if you are a music lover like me you will gladly continue you subscription.